Growing and developing junior tennis players is what motivates us to teach tennis. We provide youth tennis camps for all ages. 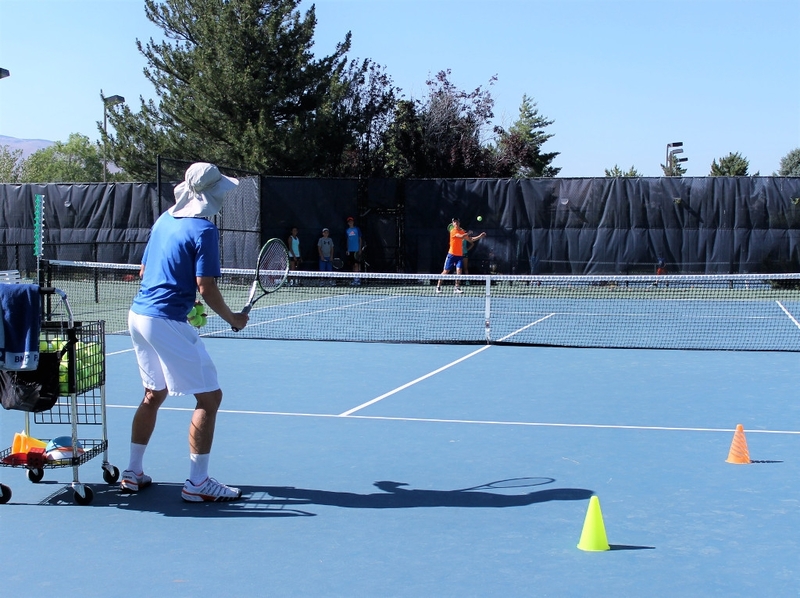 All of our tennis camps are located out of the Caughlin Athletic Club in Reno, NV. Contact us today to get your kids into the sport of a lifetime or call Randy at 775-240-6505. TRY OUR TENNIS PROGRAM! GET A FREE DAY! Learn tennis in a safe, fun and exciting environment. The major tennis strokes needed for success will be emphasized. Children will be introduced to swing rhythm, topspin and rallying. Instruction and equipment are specific to various age groups. Kids will learn how to play tennis utilizing smaller courts, properly fitted racquets and specialized tennis balls. Time: 4 – 5 P.M. The Junior Tennis Academy is geared toward developing tournament and high school tennis players. Students improve mechanics for all strokes, footwork and conditioning. Focus is on consistency and improved shot making. Private tennis instruction and live-ball play are present in each class. Provide you with one on one tennis instruction, customizable lesson plans, and scheduling times that suit your needs. A great option if you have friends and teammates that you want to take tennis lessons with and develop your tennis games together.